Panda Anti-Rootkit shows hidden system resources, identifying known and unknown rootkits. It analizes hidden drivers, processes, modules, files, registry entries, SDT modifications, EAT hooks, modification to the IDT, non standard INT2E and SYSENTER, IRP hooks. 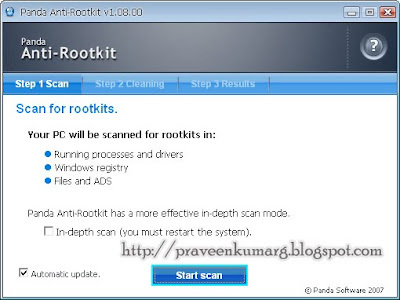 Unlike other anti-rootkit utilities which merely “reveal” hidden objects, Panda Anti-Rootkit positively identifies known and unknown rootkits and gives the option of removing them, including their associated registry entries, processes and files.